from Blenheim to Chartwell: the untold story of Churchill's houses and gardens. When I was asked if I would review this book I have to confess I did not know a huge amount about Winston Churchill. 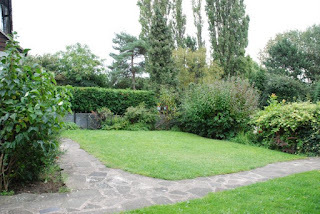 Let me clarify this before I go any further, I know what he did as Prime Minister during World War 2, I know bits about his early life and his family; but these are all really just headlines, dates and facts; I have little insight to him as a person and for me there are few better ways to understand someone than by their gardens and home. It is our personal spaces where we are as we really wish to be and this was what I was hoping for from this book. I have to make a disclaimer before I go any further, I was sent this book to review and so I have not paid for it. My opinions and words are, as ever, completely my own. The book starts with a foreword from Churchill's great-grandson, Randolph Churchill; he begins by wondering whether there was much of his great-grandfather's life that has not been 'raked over'. I could almost hear a sigh in his tone as he writes it. Pause for a moment and consider that Churchill was a person, a husband, a father, grandfather as well as being known for his political life. Randolph goes on to say that because of the focus of this book it does give a new perspective of the life that Winston and Clementine had together and he calls it a 'fascinating revelation' even for the family. 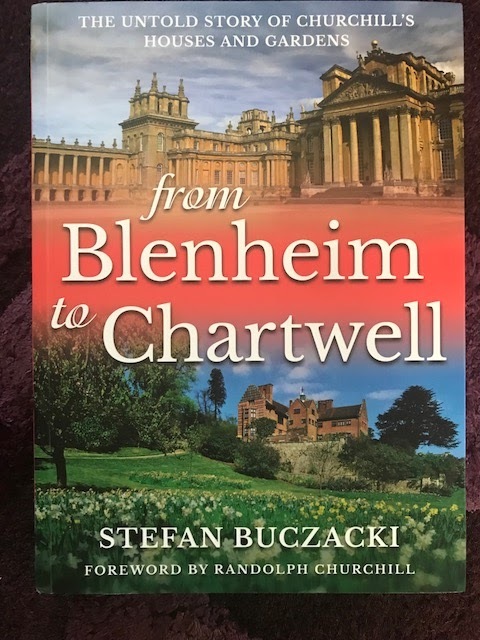 The book originally was going to be solely about Chartwell, but it is explained that the family urged Buczacki to write about the other homes and gardens that Churchill and family lived in through the years. This is what this book is about and it drew me in quickly as I was interested in how many of these homes there were. Having started this review by saying that I did not know a lot about Churchill as a person, I was still surprised at how many different homes Winston and Clementine had. They rented and they purchased, they had holiday homes and homes to work from. 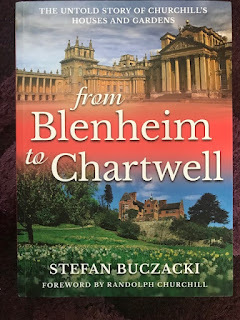 Stefan Buczacki is a renowned author of non-fiction and has written several works of reference. His research into Churchill's homes is extensive. The book contains many photographs, plans and also some of Churchill's paintings. The photographs are not just of Churchill and his family but also other key people in the story. This helps give a further perspective to the writing as you can picture some of the interactions more clearly. Of course Chartwell is a central part of the book. There are photographs that show before Churchill bought it and after. There is also the story of Churchill's renovations and additions to the property and the issues they had completing the works. There is also the description of the purchase of Chartwell by the National Trust in 1946. The house would become a memorial to Churchill upon his death and this was what happened in 1965 with the house and gardens opening to the public in 1966. 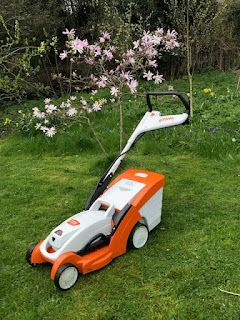 It is an interesting account of how the house went into a very planned approach of National Trust ownership and the ups and downs and downs and ups of how this has affected the garden. This book is an engrossing snapshot of social history told through the lifetime of house and garden owning by this famous family. I can very happily recommend it to you.